For this month's challenge, use a springy herb or flower in your cooking or baking. I found a basic cinny roll recipe for the dough portion. And I apologize, but I'm not going to type out all that right now. 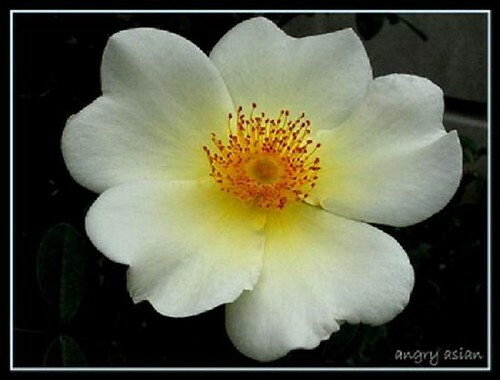 I'm beat from gardening all day and am becoming blurry eyed! Anywhoozer....so I'm doing the dough and it occurs to me...I can really do this. Everything came together too easily. And I loved loved loved rolling it out with my pin. The icing was a simple mixture of cream cheese, mascarpone cheese (cause i'm italian like giada), powdered sugar, and a splash of vanilla. i didn't use exact measurements. i threw it in bowl, whipped it up, tasted, and then added if neccessary. if matt weren't always on to me i'd be standing in front of the fridge now eating the remainder of the icing from the bowl. Good call on this month's challenge idea....I really enjoyed it and now I'm over my fear of doughs ;) And I'd like to give props to my stand mixer with the dough hook. Holla! 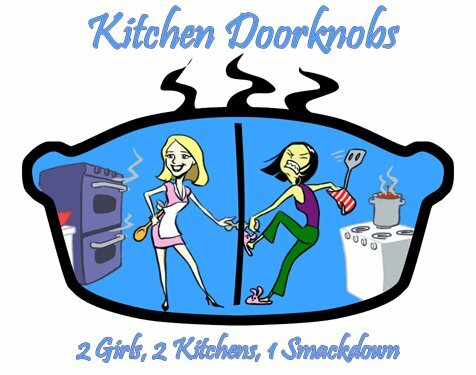 Until next time, fellow doorknobs, keep those buns and ovens hot! I've actually only recently come to enjoy gnocchi, and that's to say it's only been about 6-8 months. Not sure if I didn't get enough exposure, or it was a texture thing, but I wasn't a fan. I figured I would take a stab at actually making this at home, thought it was more complicated than it actually, time consuming on the other hand. 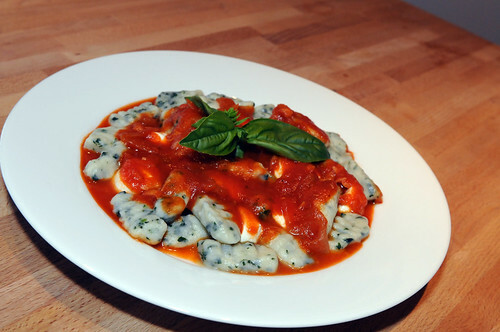 For this month's rolled challenge, I decided to make spinach potato gnocchi, with fresh mozzarella and garlic basil red sauce (instead of a white sauce). 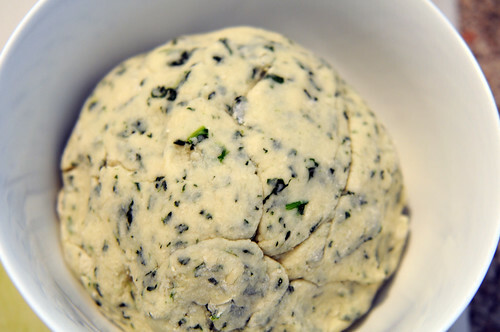 I've had for the most part plain potato gnocchi, it's usually spinach ravioli's, so I thought to add in finely chopped spinach into the dough. Slice onion and saute slightly, adding in salt, pepper, red pepper flakes, garlic cloves. Add in tomato paste and 2 cups of water, let simmer until paste dissolves. Add in a large bunch of the basil leaves, let simmer on low. Bake potatoes in a 400 degree oven for 1.5 hours, uncovered. Very finely chop spinach, saute with some olive oil until wilted. Remove potatoes and peel while hot. Take peeled potatoes and run through a potato ricer, or if you don't have a ricer, use a finer grater (that's what I used). Add in salt, baking powder, egg yolks, and spinach. Using your hands, slowly mix in flour a bit at a time to incorporate, until you have a dough. You may need a bit more than 1 1/2 cup of flour. Take a bit of dough, place onto a flat floured surface and roll out into 1/2 inch thick rope. 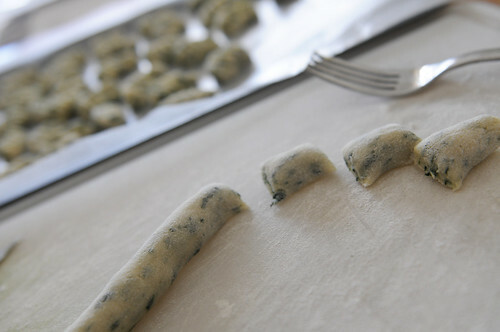 Cut into 1-inch pieces and then roll down a gnocchi board (and if you don't have a gnocchi board, roll with fingers and use a fork) to create indentations. Bring water to boil with a bit of salt, drop in gnocchi about a dozen at a time and when they rise to the top of the water, they're done, should be 2-3 mins max. remember when i said i wasn't that hot for mexican or latin american food some time ago? the stuff's grown on me. i like it a lot now. i think the combination of rice and beans is almost genius. my long weekend in PR last week solidified that cheese melted over meat topped with salsa is damn good. be con's challenge of something rolled made me wrack my brain for something latin amercan. enchiladas seemed easy enough and definitely good enough that i could have it for leftover during the week. my spin was to use japanese eggplant for the filling. weird combo, i know but when i was at the asian market they looked so appetizing, i couldn't resist buying them. i was quite happy with the end result. it was different. i didn't pay much attention to what i used and how much so. sorry! i chopped up the eggplant into bite size pieces. sauteed with chopped onions until soft. i used taco mix and dumped a can of green chili peppers for the added spice. alright, filling done. 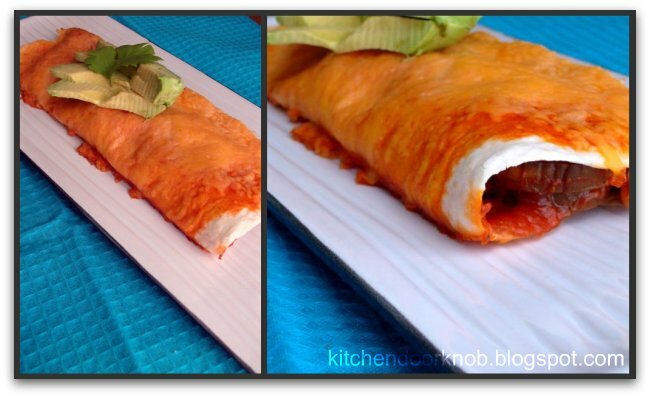 i had flour tortilla hanging out so i wrapped up the eggplant filling and lined them in a casserole dish, poured enchilada sauce over it and topped with cheese. baked in the oven at 350 til cheese is melted. done. 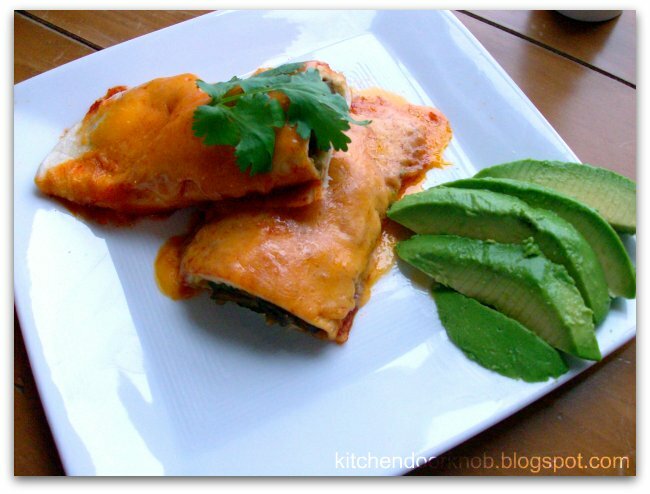 i paired my asian enchilada with avocado. yuuuuuuum.